JURGEN KLOPP was left frustrated after Liverpool squandered a glut of chances in a "crazy game" and were held to their second consecutive draw in the Champions League. Philippe Coutinho scored for the second game running to cancel out a Fernando's free-kick - which he had conceded. 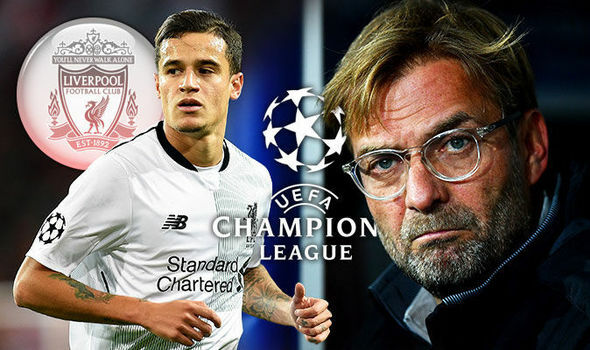 But for once it was Liverpool's finishing rather than their defending that let them down as they allowed Spartak Moscow off the hook in a 1-1 draw. Klopp said: "It was a crazy game. To create all those chances and only score one goal feels average. "What can I say? We created, created and created against a very defensive-orientated team. Where is the real point for criticism? “We tried with all we had. The effort was great. We controlled the game from start to finish so we should win it comfortably. It was disappointing. “I thought we defended well for the majority of the game. But we have to finish the game off and be more ruthless. "At this moment we are not the most lucky team in the world. The free-kick from which they scored was not a foul, although it was a brilliant free-kick. "But the only target is to get through the group and that is still possible. We should have won both games but I'm certain we are strong enough to qualify." Liverpool skipper Jordan Henderson said: “It's disappointing. We controlled the game from start to finish so we should win it comfortably. "On another day it could have been three or four. The performance was decent but not enough to win the game. I thought we defended well for the majority of the game. But we have to finish the game off and be more ruthless." Liverpool now face a double header against NK Maribor but have just two points from their opening two games. However they are just two points below Sevilla - who beat Maribor 3-0 - and will still believe they can qualify for the knockout stages. And while Klopp insists they defended well his decision to select Loris Karius in goal ahead of Simon Mignolet has been questioned by former Liverpool assistant manager Phil Thompson. “They've had two attempts, one from the free-kick which they scored, and one from another shot which Karius blocked. But for the goal, the goalkeeper should do much better,” Thompson said. And he believes they will regret giving up another two points tonight.